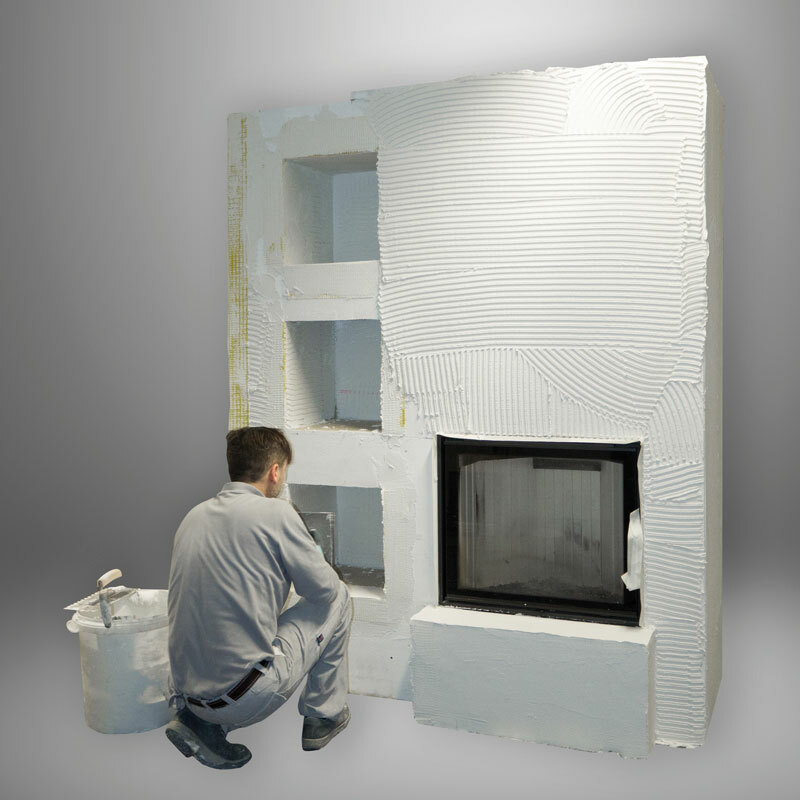 THERMAX® SN 500 – the fireplace building board in THERMAX® quality – for simple, safe, fast and clean assembly of fireplace sheathings. 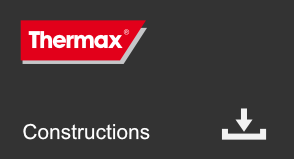 THERMAX® SN 500 is non-flammable and resistant to high heat levels. 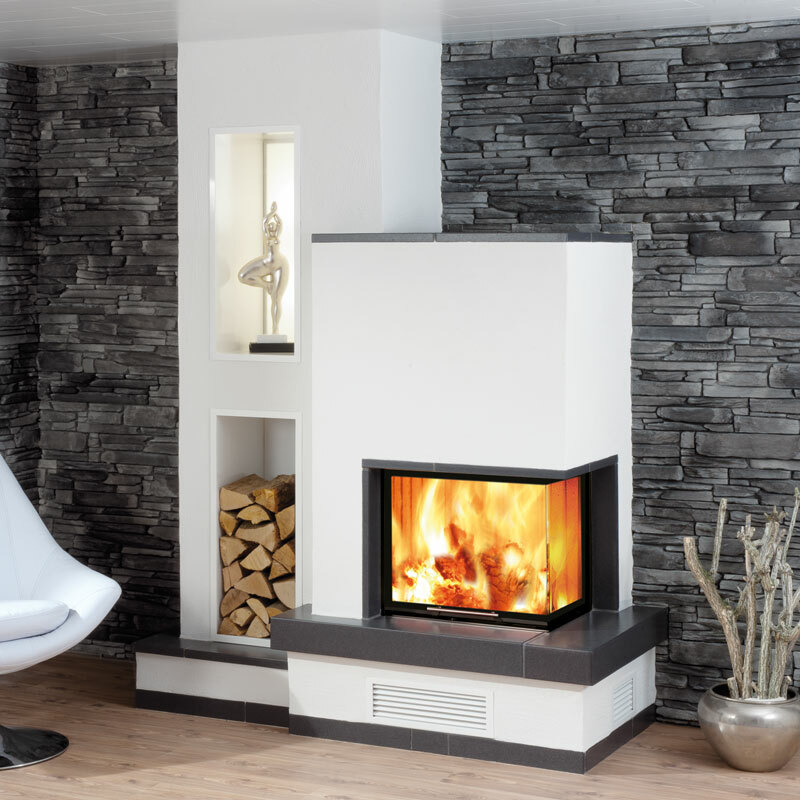 Energy emitted by fireplace inserts is emitted as pleasant, even radiating heat via the THERMAX® boards. 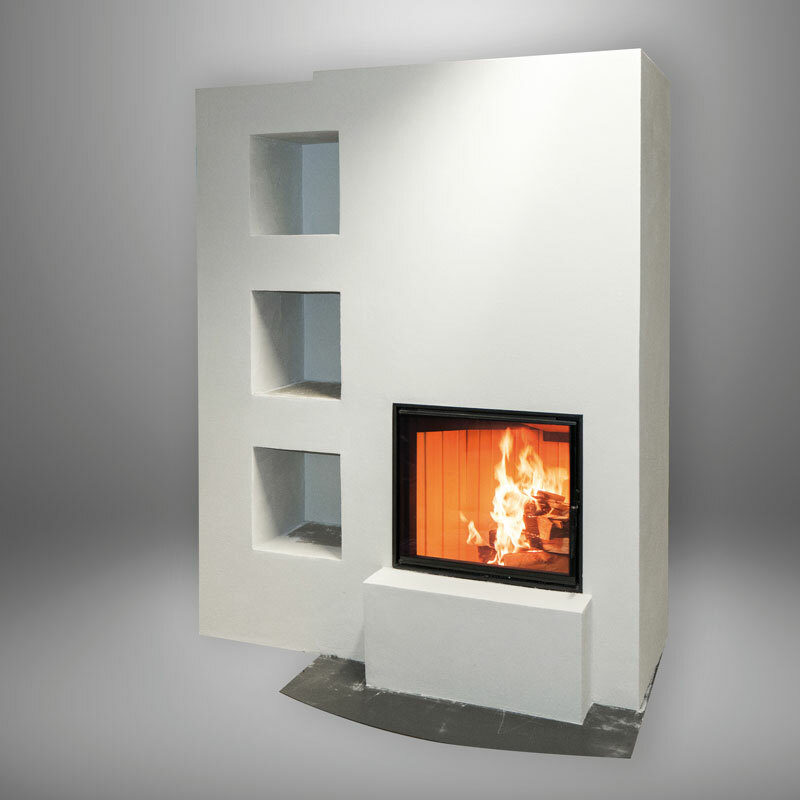 Convection heat in an oven can also be distributed into certain areas, in association with clever fireplace heathing architecture. 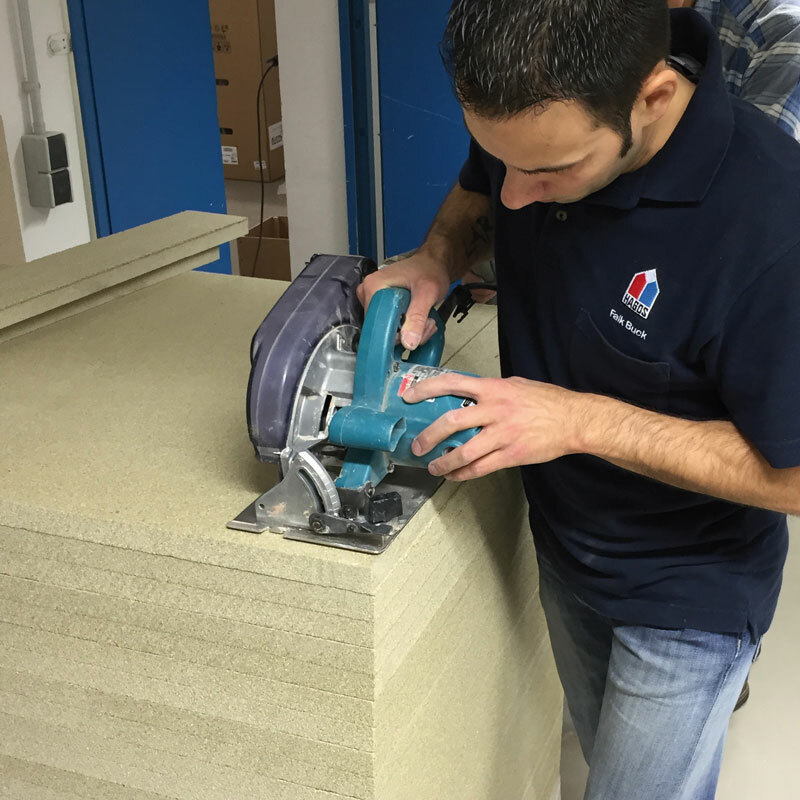 Regardless of firmness and stability, THERMAX® SN 500 possesses ideal thermal qualities: a high heating capacity combined with great thermal insulation qualities. 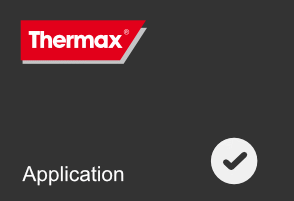 Watch this video to see how easy THERMAX® SN 500 is to treat. 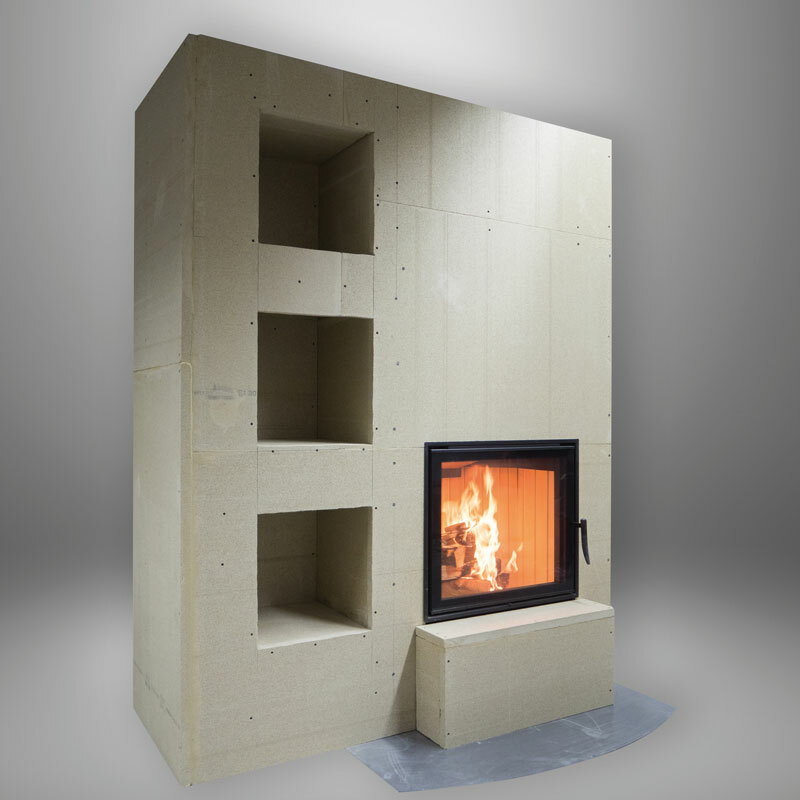 Build your own dream fireplace with THERMAX® SN 500 fireplace building boards. Treat the boards with standard wood processing tools. 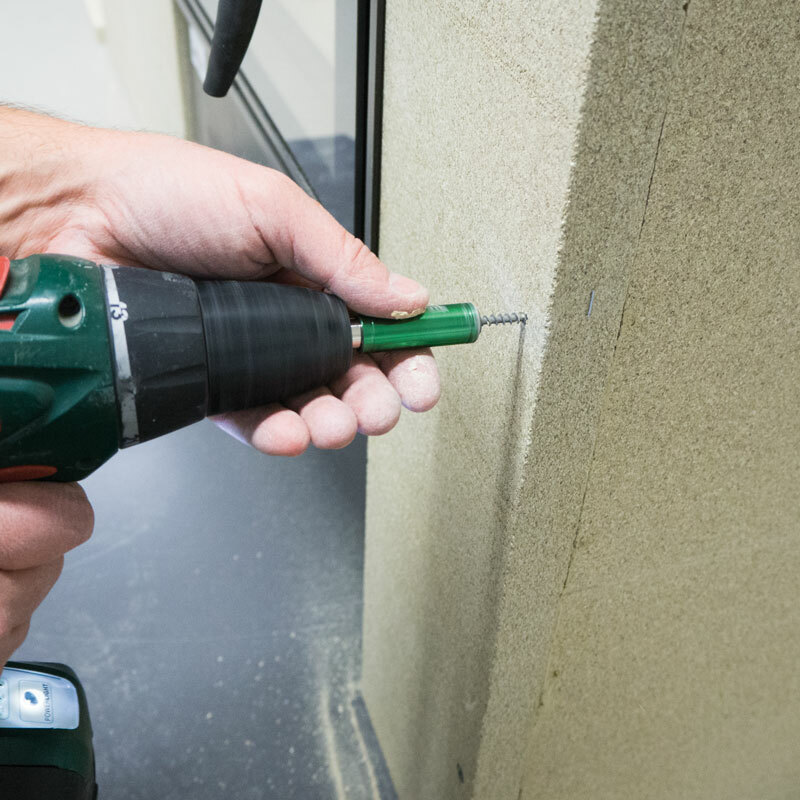 The boards are glued with THERMAX® fire protection glue, and can also be fixed without pre-drilling. 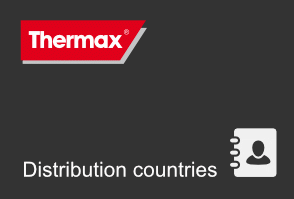 Professionals across the globe have worked with THERMAX® fire protection products for many years. Naturally, we can provide all general construction licences. We can provide special formats and thicknesses on request. We will be happy to make punched parts, milled parts or cuttings in accordance with your drawings. The classification temperature should not be conflated with the maximum use temperature – especially if physical conditions such as tensile or pressure loads play a part. Generally, lower temperatures should be used for high temperature insulation. 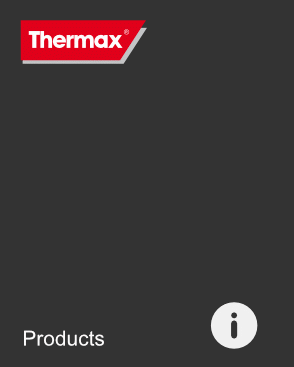 THERMAX® – Simple. Safe. Green. 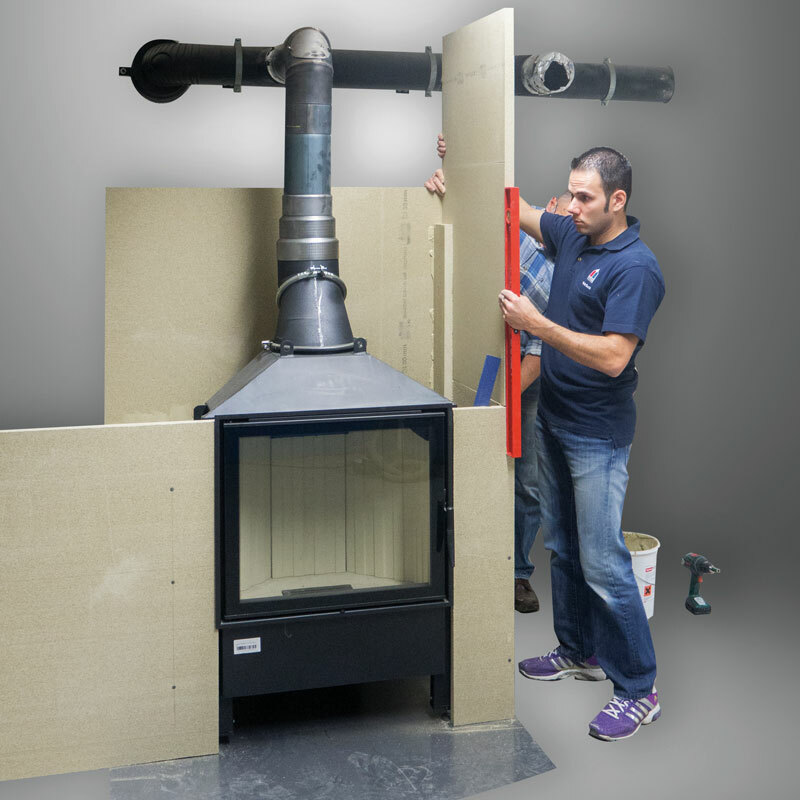 Under the protected trademark THERMAX®, the TechnoPhysik Group produces and markets efficient and sustainable fire protection products for the fields of industrial high temperature insulation, private fireplaces and chimneys, and structural and decorative fire protection.